Organic is a multipurpose and Technology based template having fully responsive layout. 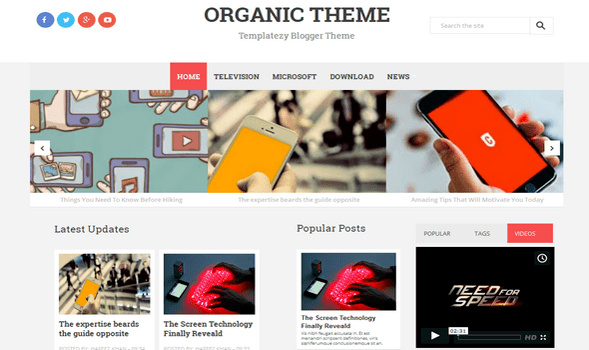 Organic Blogger Template Comes with lot of handy dynamic features and installed less jequery codes plugins widgets which make it fast loading template. This template is very suitable and the perfect choice for users, who want to run technology, Design, Magazine, Gaming, multimedia or news portal blogger hosted site. In short, It is a perfect multipurpose magazine template for blogspot sites.